Colombo Street in front of the motel is one of the oldest parts of Christchurch. 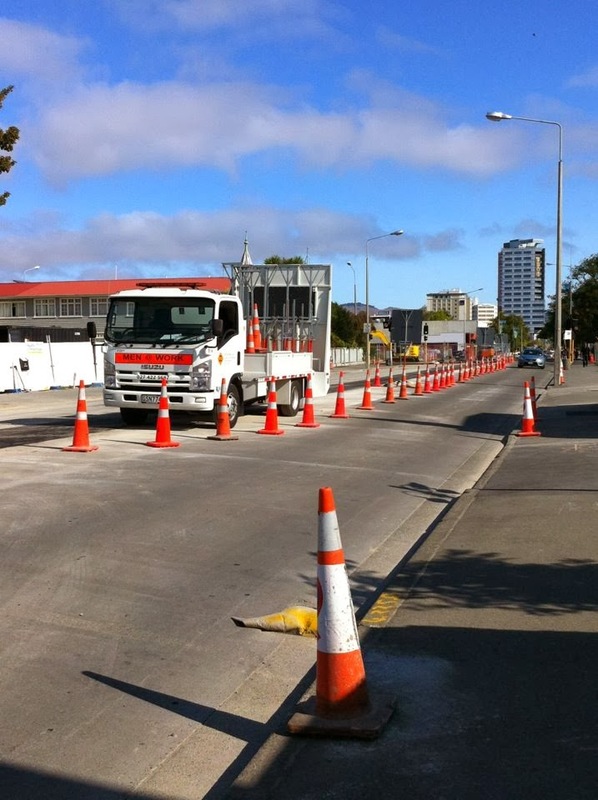 Over the past 2 months it has had its sewer repaired as part of the ongoing quake recovery programme and this has revealed to us some of the history of the street and the area. When the city was first laid out around 1850, the block between Salisbury St. and Bealey Ave. was to be reserve land for use later on but it was in fact sold off earlier than planned, later in the 1950s, to provide funds for the city. The sewer lines were laid in the 1880s and were followed by tram lines around 1910. Wharetiki, the large Edwardian timber dwelling across the road that was photographed by many people who walked past until it was demolished after being damaged in the quakes, was built in 1904. The series of quakes that rattled the region beginning in September 2010 caused as much damage below ground as it did above. 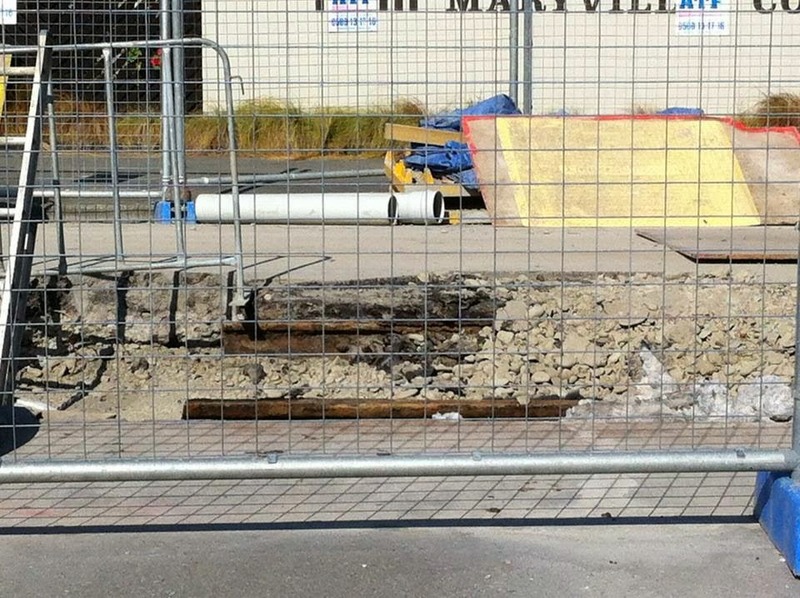 Sewer pipes, storm water pipes, water pipes and power cables have been ripped apart to varying degrees across the city. The race is now on the repair the damage before it causes more problems. 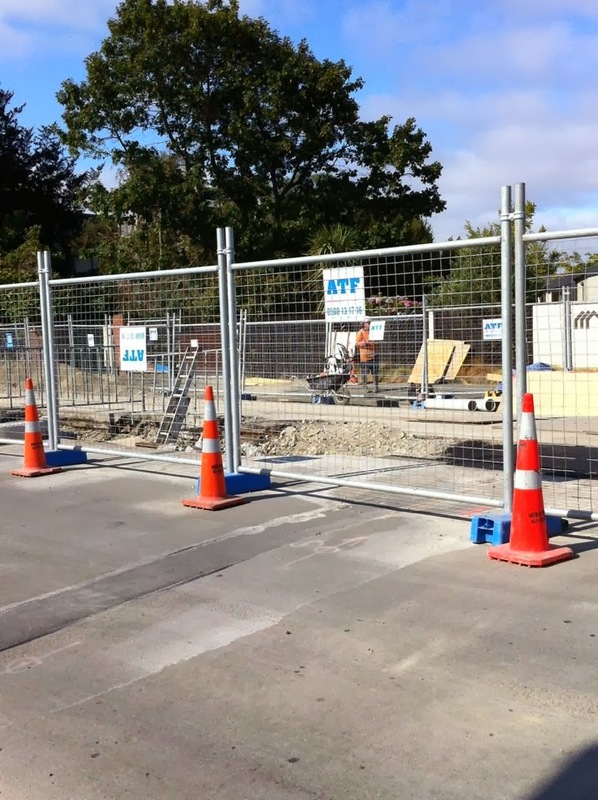 The engineer in charge of the repairs told us that while the sewer pipes in this area did not collapse in the quakes - we could still use our toilet – they were badly cracked and this has resulted in ground water flooding into the sewer pipes. This causes problems at the waste treatment station which now has to run overtime to treat the sewage and groundwater mix. The race is on to repair the sewer pipes before the treatment station wears out from overuse! 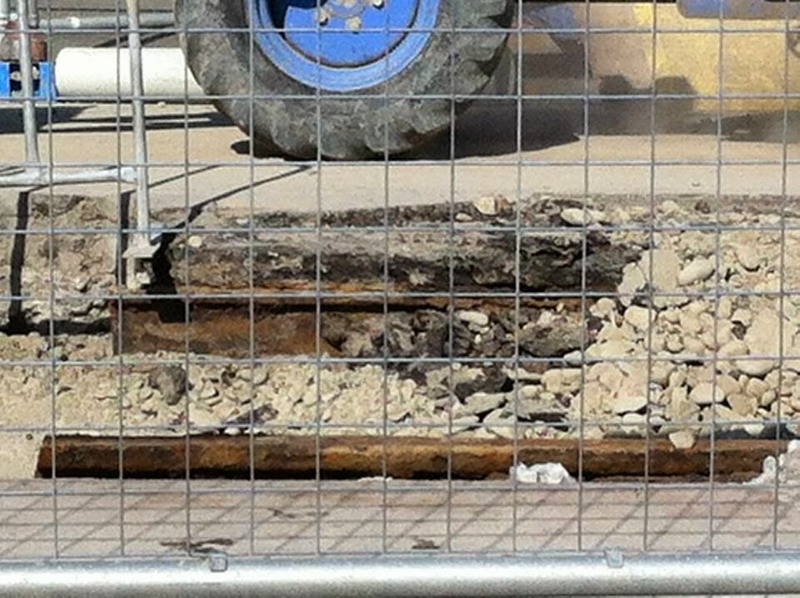 As the road works crept along the street we were actually able to see the city’s history right in front of us as the tram tracks buried under the road became visible. It was great to see a bit of yesteryear seeing the light of day again and reminded us of Christchurch’s past. It’s been 60 year’s since trams ran over these lines and it leaves us wondering if one day in the future there will once again be trams carrying passengers up and down Colombo Street!